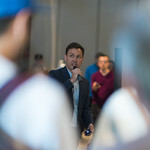 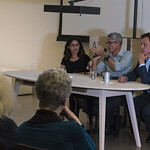 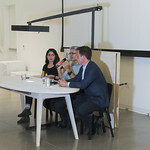 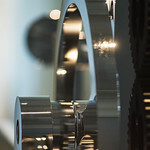 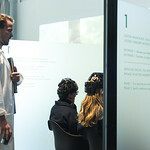 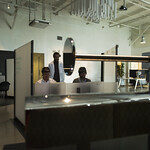 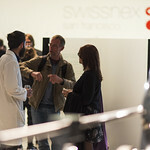 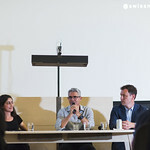 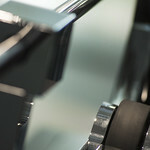 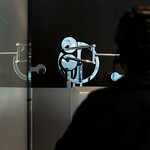 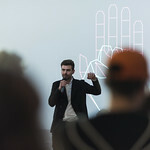 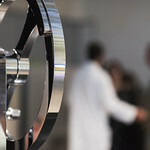 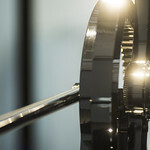 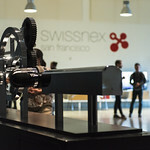 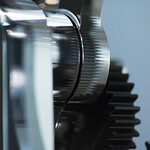 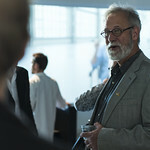 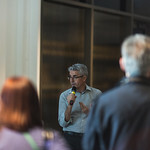 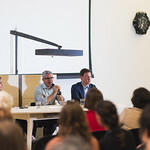 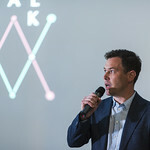 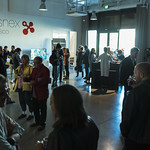 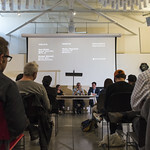 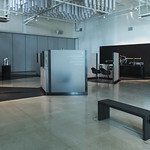 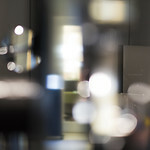 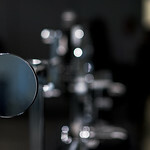 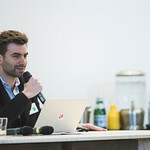 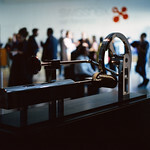 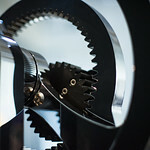 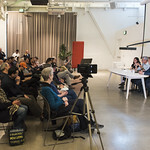 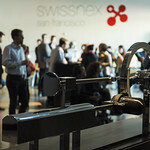 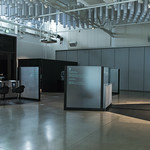 Photo by Astra Brinkmann for swissnex SF. 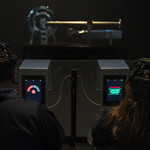 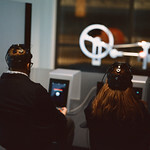 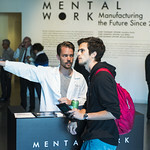 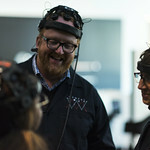 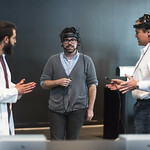 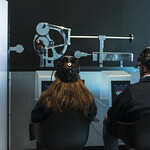 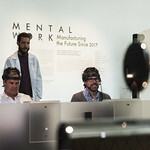 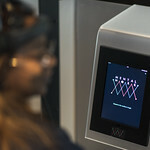 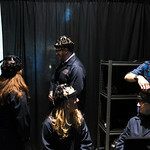 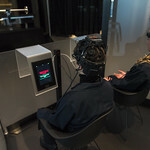 At Mental Work, participants are invited to join the cognitive revolution through a guided, 60-minute experience, where they will move industrial machinery only using BCI technology and their thoughts. 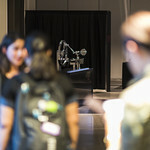 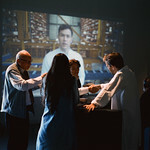 This factory of the future creates a platform where the public can examine how dismantling boundaries between art and science can help us imagine, understand, and prepare for the transformational potential of BCI technology. 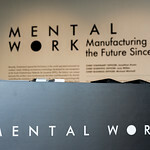 Registration is required to see the Mental Work showroom. 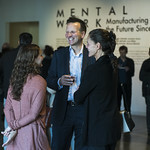 Book your private 60-minute guided experience at mentalwork.net. 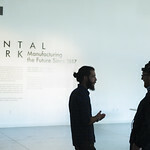 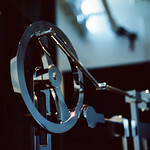 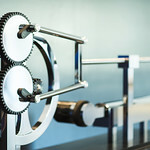 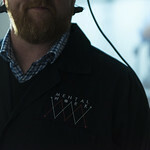 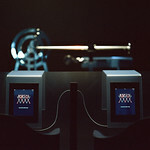 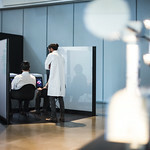 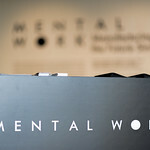 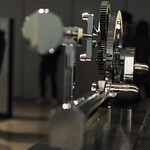 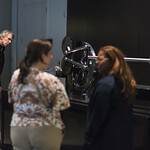 Mental Work was born through a collaboration between EPFL neuroscientist José Millán, San Francisco-based artist Jonathon Keats, and London-based curator Michael Mitchell. 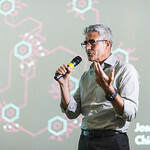 Graphic design elements by Joël Boucheteil. 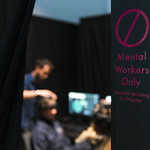 For instructions on how to register for your 60-minute Mental Work trial, see mentalwork.net. 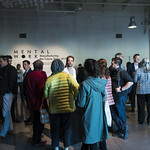 The experience accommodates up to two people at a time — you may coordinate a time slot with a partner, but please register individually. 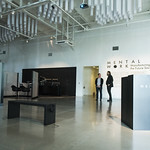 Open Wednesday, Friday, Saturday, 1-6pm; Thursday 1-8pm.